Gustav Denk was born on 24 January 1915 at Soest in Westfalen. At the outbreak of World War 2, Denk was serving with JG 52. Oberfeldwebel Denk was assigned to 6./JG 52. He participated in the invasions of Poland and France. However, he did not claim his first victory until the Battle of Britain, when, on 13 July 1940, he shot down a RAF Blenheim twin-engine bomber off Borkum. At the end of 1940, he was posted for training as an officer. Denk claimed his greatest successes over the Eastern front flying with the Stabsstaffel of II./JG 52, commanded at this time by Hauptmann Johannes Steinhoff (176 victories, RK-S). Leutnant Denk recorded his 10th victory on 23 August 1942, when he shot down a Russian LaGG-3 fighter. In September, he claimed 11 victories, including three Russian LaGG fighters shot down on 9 September (11-13) and a further two LaGG fighters shot down on 25 September (20-21). Denk claimed two victories on 12 November (29-30). In December, he claimed 15 victories, including three Russian fighters shot down on 8 December (40-42), a further three Russian fighters on 19 December (45-47) and his 50th, a Russian La-5 fighter shot down on 26 December. In January 1943, Leutnant Denk was appointed Staffelführer of 5./JG 52. He recorded 10 victories with the unit, raising his victory total to 61, before transferring to a similar role with 6./JG 52 on 12 February. Denk’s first day with his new unit saw him claim five enemy aircraft shot down (62-66). On 13 February 1943, Oberleutnant Denk made a strafing attack on the Russian airfield at Tschernigow and destroyed two aircraft on the ground. However, his Bf 109 G-2 (W.Nr. 14 554) “Black 13” was then hit by flak and exploded, killing Denk instantly. 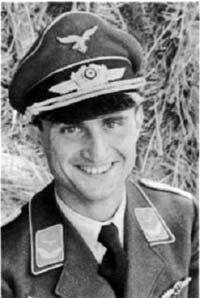 Gustav Denk was credited with 67 victories in over 500 missions. He recorded one confirmed victory over the Western front.  He was posthumously awarded the Ritterkreuz on 14 March 1943.